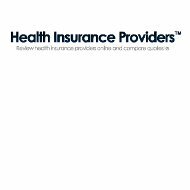 The Pioneer American Insurance Company should not be confused with the American Pioneer Life and Health Insurance Company located in Lake Mary, Florida. American Pioneer’s mission is to assist seniors in obtaining adequate medical and dental insurance coverage. They accomplish this goal by putting their clients in touch with a variety of supplemental Medicare programs. American Pioneer also markets life insurance under the trade name, Senior Tribute. American Pioneer’s services are available throughout the United States through a network of insurance brokers and independent agents. American Pioneer’s Senior Options program currently serves the needs of nearly 300 thousand older Americans by providing both health maintenance and preferred provider options. Their life, annuity, and funeral insurance programs provide additional manageable and affordable solutions for seniors. The Pioneer American Life Insurance Company is located in Waco, Texas. They offer inventive, customized life insurance solutions. Pioneer American’s customers represent a cross section of the United States and include government personnel as well as civilian employees. Pioneer American is one of four Texas based insurance companies that make up the American-Amicable Group. Pioneer American also markets affordable funeral expense policies, annuity programs, and critical care coverage. Pioneer American has historically enjoyed growth and prosperity. Its business model maintains fiscal integrity combined with responsible and effective management strategies. Pioneer American is rated by A. M. Best as part of the American-Amicable Group. In 2010, American-Amicable ratings of financial strength were upgraded to excellent, A-. A.M. Best’s credit ratings of American-Amicable also improved to A- in the latest rating period. The Pioneer American website does not offer much specific information about the company, its history, or its products. It is mainly a portal for existing customers and policyholders to obtain specific information and assistance. The policy service page has options to make changes to existing policies or file common claims forms. The complaint and question page, www.pioneeramerican.com/complaints.html provides customers e-mail addresses and telephone and fax options for contacting the company with their questions or concerns. There is also a special portal for Spanish-speaking clients that will put them in touch with a bilingual service representative. A separate agent portal provides marketing support. A third option for life insurance providers in the United States named “Pioneer,” is the Pioneer Mutual Life Insurance Company of Indianapolis, Indiana. Pioneer Mutual is a division of insurance giant, OneAmerica. Pioneer Mutual concentrates on providing fixed universal life programs to help insure their clients’ financial security. Rating company A.M. Best gives Pioneer Mutual, Superior A+ marks for financial stability in 2011. Pioneer Mutual began in 1868 as the Ancient Order of United Workmen, a group of railway workers. It became the first insurance company in America formed as a fraternal group. It wasn’t until 80 years later, in 1948, that the AOUW changed its name permanently to Pioneer Mutual. In the 1980s, PML began to market more innovative life and annuity programs and continued to grow and prosper as an independent company until its acquisition by OneAmerica in 2002. The OneAmerica Group also provides a bundle of retirement programs and services for retirees. In addition to its portfolio of life insurance and retirement and annuity programs, Pioneer Mutual administers employee benefit programs for small and large business concerns. These benefit programs include dental, employee help, and short and long-term disability coverage.